Where is that lovely place we go when we dream? I don’t know where it is, but I can walk, and it’s just lovely. Not one night passes by that I don’t dream or have a recurring nightmare. I walk or dance in each one. 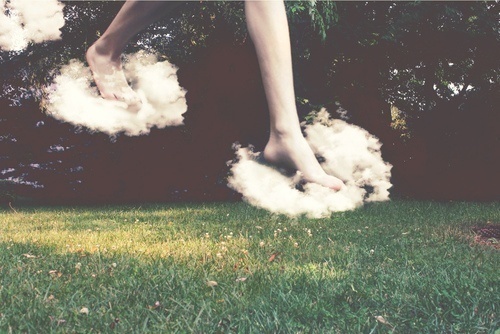 Sometimes I wake up suddenly, believing that I really can walk, so I try to get out of bed. Initially, it always surprises me that my legs won’t move. For those brief moments, I forget that I’m paralyzed. Then reality sets in again. It’s surreal and always reminds of the things I miss most like driving, dipping my foot into the ocean, slipping into a shoe, and, most of all, dancing. Oft times I feel like a spectator of my life, floating above my body while watching the traumatized little girl inside of me struggling for freedom. It may sound odd, but that little girl wrote my memoir, now completed. So, now, me, the woman confined to bed, and me, the little girl who adored tap and ballet both dance again. And, that my friends, is lovely too. This gave me some perspective today. Thank you. I am happy to hear this. It really is all about perspective, isn’t it? I am constantly readjusting mine, I get hurt so easily.